__Go down and see more pictures and introductions!__ https://c1.staticflickr.com/5/4835/45906921544_e815e0bcf2_b.jpg https://c2.staticflickr.com/8/7820/45716805085_886dfd57ed_b.jpg https://c1.staticflickr.com/5/4815/39666478683_037c849e94_b.jpg https://c1.staticflickr.com/5/4849/46631424631_7843bb5671_b.jpg https://c2.staticflickr.com/8/7913/45906897684_443033b02b_b.jpg P1 bundle pocket back P2 can carry your favorite books with you and read them at any time. 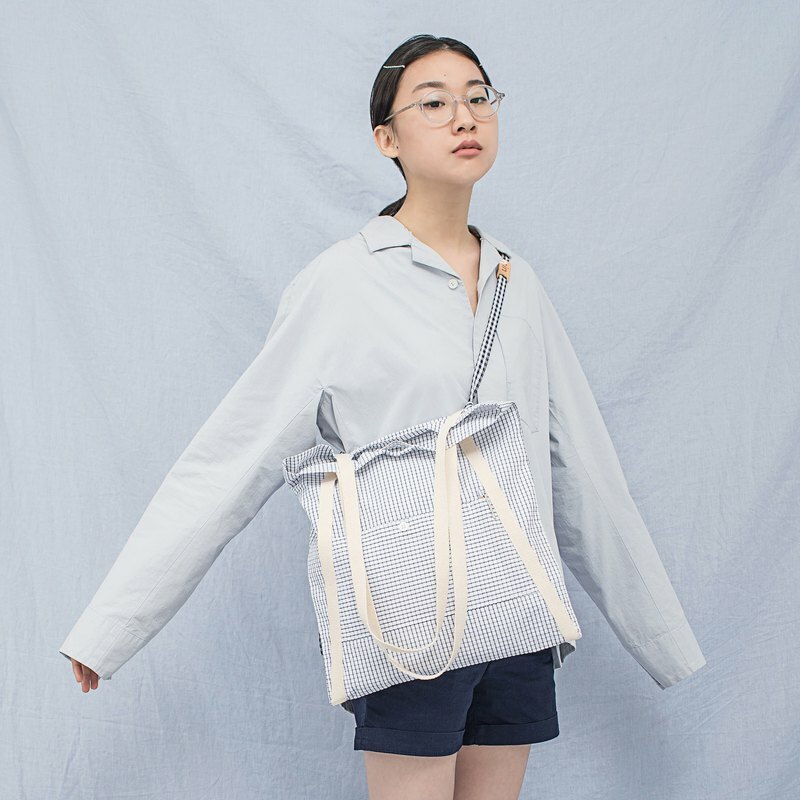 P3 general tote bag shoulder back method P4 oblique back method P5 frontal picture https://c1.staticflickr.com/5/4902/45716750925_15549a966f_b.jpg | bag size About 35cm wide x 40cm high |Leader Single treaty is 70cm (for 35cm) https://c1.staticflickr.com/5/4910/31690081917_56b649c4ae_b.jpg "Practical and well-matched fabrics add detail to everyday dressing fun Use a bag to match the full body look! " https://c1.staticflickr.com/5/4814/32757044308_df164ca99d_b.jpg ·pocket ACETOTE version 2.0 pockets add 2 pockets ____put pen, ____put mobile phone or ticket card ⋯⋯, etc. I often need to get in and out of the items, and I can quickly find them. Reinforce the knot at the mouth of the bag for a stronger and more durable Press the button on the pocket and the opening of the bag Don't worry about the item falling out while traveling. https://c2.staticflickr.com/8/7913/45906897684_443033b02b_b.jpg ・Back method **Beam port** There are 4 gaps in the strap You can take the draw through the gap Use rin handmade cowhide logo, draw the bag mouth, use the beam mouth https://c2.staticflickr.com/8/7868/45716801775_ac0907e476_b.jpg https://c1.staticflickr.com/5/4835/45906921544_e815e0bcf2_b.jpg **Shoulder** If you don't use it, the strap can be completely removed and removed to become a normal use shoulder bag. https://c1.staticflickr.com/5/4811/46631452941_9aa0a2134a_b.jpg **Oblique back** Pull out the strap and use it as a harness Tied to the front and rear sides of the belt, or the two sides of the same side of the belt, knotted, diagonal back The length of the strap can be adjusted freely by knotting; if you carry heavy loads, you can hit the knot twice! Remember to buckle the bag when you are leaning back https://c1.staticflickr.com/5/4849/46631424631_7843bb5671_b.jpg https://c1.staticflickr.com/5/4858/45906883674_4388d0aaea_b.jpg ・Working and fabrics The bag body is made of**whole piece of cloth is not cut open** Two lanes on both sides**overlock** Can strengthen the structure, even if it is thin and light, it is not easy to damage The fabric itself is a crispy shirt cloth The surface has a delicate bamboo knot design. Light and not thick, but the yarn count is high, the organization is dense https://c1.staticflickr.com/5/4905/45716798795_7c469dff3d_b.jpg "Let's try all kinds of combinations, all kinds of backs Become a Tote bag for your style! " https://c2.staticflickr.com/8/7820/45716805085_886dfd57ed_b.jpg |CARE ・Machine washable, hand washable ・Hanging and drying, not drying, cotton will have a certain shrinkage when heated ·Temperature ironing ・away from bleach Proudly made with love for you by rin.